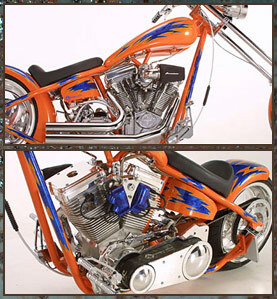 Custom bike building is James Cole's other specialty, with two Dallas, Texas Easy Rider 2nd place trophies under his belt and numerous local show trophies, he can build your custom to fit your style and wallet. All of Cole's builds are one off only. No bikes will ever be duplicated at our facility. From vintage to bobbers and Pro Street to Choppers!